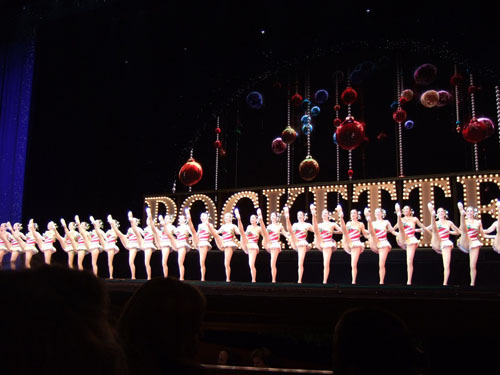 The Radio City Rockettes is the first show on Broadway to feature the immersive technology of XYLOBANDS. 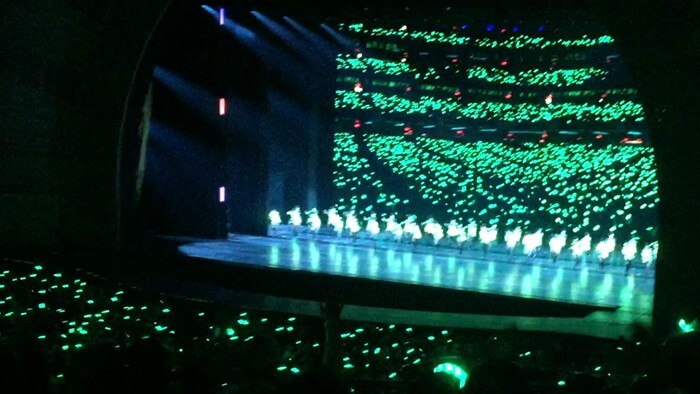 Each person in the audience become a part of the show, courtesy of the light-up wristbands. 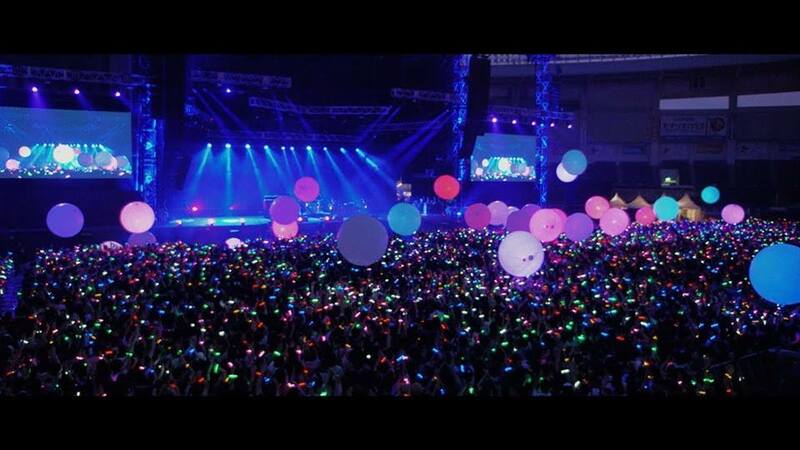 Xylobands and the exciting new ways that audiences are connected with the interactive technology. 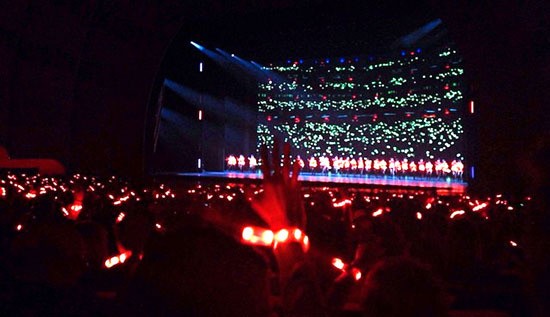 Seeing the audience you are in lighting up on the video screen makes the experience personal and thrilling. New York is lighting up all over!Xylobands lit up Madison Square Gardens for the NY RANGERS playoffs game, and also the NY KNICKS season opener show featuring Blue Man Group. 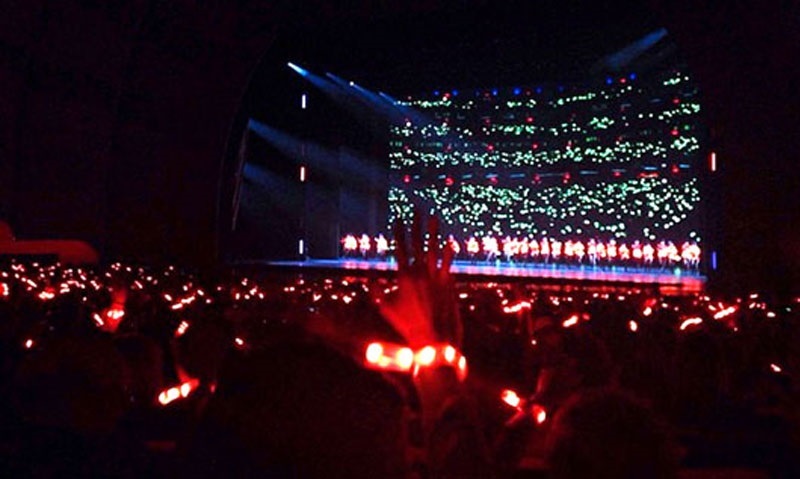 TLC Creative / Xylobands USA is the team behind Xylobands and have been lighting people up at festivals, concerts, celebrations, and corporate and motivational events, and now Broadway! 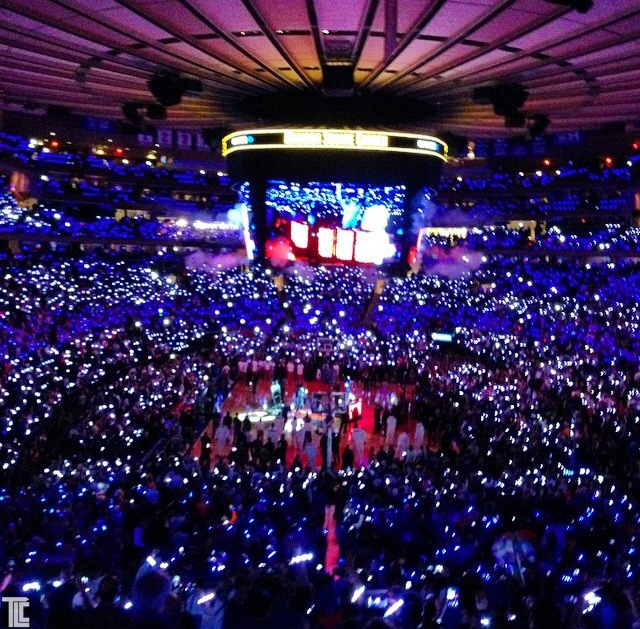 Xylobands lit up Madison Square Gardens with the brightest wristbands available! Xylobands are significantly brighter than other wristbands, Xylobands have 360 degrees of visible light, plus an extended light and branding area that are meant to be seen. Interactive experiences will be a major way that the live entertainment industry will adapt to people staying at home. RFID and interactive wristbands and lanyards are enhancing and energizing live shows in new and exciting ways, and this trend will get deeper and more common in upcoming years. Glowballs and Light-Up balloons, as well as new kinds of dimensional LED displays, are bringing new technologies and new experiences in direct connection with guests. TLC Creative has always pushed the envelope of finding new ways to engage and inspire people! Xyloband LANYARDS are the latest new product, designed for trade shows, exhibits, meetings, and conventions or tours, these very long bands of brilliant interactive, live cued lighting effects, are bringing a level of excitement to those industries like never before. TLC Creative has produced live special effects and lasers, for Miley Cyrus, Usher, Jennifer Lopez, Coldplay, American Idol, The Voice, Dancing with the Stars and creates shows of all kinds from water screens to pyrotechnics, reveals and fog effects and more. Contact TLC CREATIVE to find out more about this exciting live special effect.